New York is experiencing a new rap Renaissance. The emergence of Cardi B and A Boogie, both from the Bronx, prove that the home of hip-hop is still breathing fire. Two of indie rock's most lovable and talented young artists team up. Rae Morris makes the most charming video I've seen all week, and Kevin Gates makes the most heart-wrenching video I've seen in months. This week on Headphones. A Boogie- "The Bigger Artist": Hip-hop was born in New York City. It's the place where broken bottles and crack pipes littered ghetto streets and people turned poetry into a new art style. The cruel environments and harsh conditions the men and women living in Harlem, Bronx, and others brought these artists to put their pen to the paper. These words displayed a world unimaginable. They took us to the war zone and walked us around in their shoes. That's always been what hip-hop has always been about. Whatever the depth of the lyrics, the stories told and rhymes said in a hip-hop track are that artist describing their world and their experiences. Money, cash, clothes, violence, drugs, survivor's guilt, jewelry. All of these things represent what artists see, desire and work for. A Boogie is a rapidly rising rapper from Highbridge, Bronx, NYC. He released his first song when he was only 19, and in only two years, has proved to be prolific at portraying his life though lyrics. His latest album, "The Bigger Artist" is his defiant stance against being broke and his cheers to making it. The breakthrough track on the album is "Drowning," a hypnotizing and dramatic song with a melodic piano holding down the beat. It sounds like if a Paul Thomas Anderson film featured a rap song. A Boogie's catchy chorus is an earworm that will keep you hooked. His lyrics explain how draped in diamonds and jewelry rapping has made A Boogie. Kodak Black has a notable feature, but the gem of the track is A Boogie's ascendant chorus. "Say A'" is the very next track, and couldn't take on a different tone than "Drowning." A piano is still on this track, but it's an animated, playful one that matches the dancing trap drums on the beat. A Boogie proves his rap skills on this track. He switches his style and pace throughout the track. "No Comparison" is a Metro Booming track that A Boogie is able to style out on his competition. He flexes about how he and his crew scares other rappers and that they are untouchable. 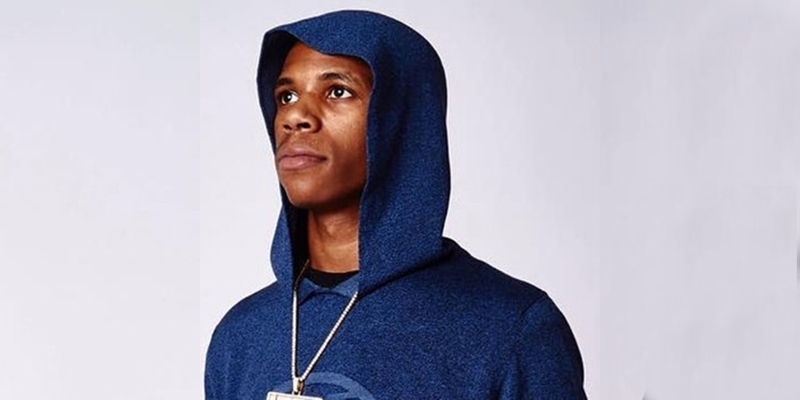 "I got sick of wearing Versace / I want red bottoms / Don't let me get in a fight with 'em / One of them spikes and I might hit him" A Boogie is incredible at crafting melodies with his voice. His way of bending his tone and creating harmonies with the beat is really ahead of its time. A Boogie is still young and raw, but that's what is most captivating about him. His beat choice is confounding, but it works. There aren't many young rappers that can go off on mostly piano riddled, slow booming, New York style beats. His music definitely sounds like a kid who found beauty in music. He's not trying to cover up this love with heavy, electronic trap beats. The origins of rap remain in New York. It's the foundation of the genre, and if you listen closely, you can still hear it. The ghosts of young boys and girls in the ghetto, trying to make a dollar out of 25 cents, are contained in every song coming out of the Five Burroughs. A Boogie's album "The Bigger Artist" is filled with stories from this place. It's a love letter and a middle finger at the same time. Courtney Barnett & Kurt Vile- "Continental Breakfast": Both Courtney Barnett and Kurt Vile are explary musicians and story tellers. Both are able to turn words and phrases into nuances and emotions that anybody can take and relate to. Both are transcendent of writing an average song. Both, teamed up on a track and an album coming soon, make for truly special music. The guitars on this track sound like a home-brewed Grateful Dead song, but both of the singers bring up notes of Bob Dylan and Lou Reed. Courtney Barnett's greatest skill has always been turning a phrase into amazing lyrics. On this song, she and Vile harmonize on the chorus, "I cherish my intercontinental friendships / We talk it over continental breakfast"
Rae Morris- "Do It": Everything about this music video makes me feel warm and cozy instead. It manages to capture the romantic side of New York. It feels like a magical date in a magical town, built only for you and that special someone. This kind of magic could occur, with a little push, or Rae Morris saying "Do It." The song is intensely catchy, and instantly popped into my top 50 tracks of the year, and the video might crack the top 10. It's just lovely. Kevin Gates- "Imagine That": Imprison a man and you imprison his whole family. While you're away, they stare at that place at the table you sat at. They have to try and pay bills and keep the lights on without you help. They celebrate birthdays and wish for you to be there. These are the consequences of prison that go beyond the cell. Kevin Gates is currently serving a 30 month sentence after being re-arrested on the same day he was supposed to be released from jail. In this poignant music video, Gates' daughter raps along to his voice, as he describes his desire to be free again rings out from behind bars. A collect call between him and his daughter, who wishes he could be home in seven weeks for her birthday party is featured throughout. Unfortunately, Gates won't be home for this party, but as he says, when he gets out, she'll have two birthday parties.